What's the best thing to do while Spring rains wash away Winter? 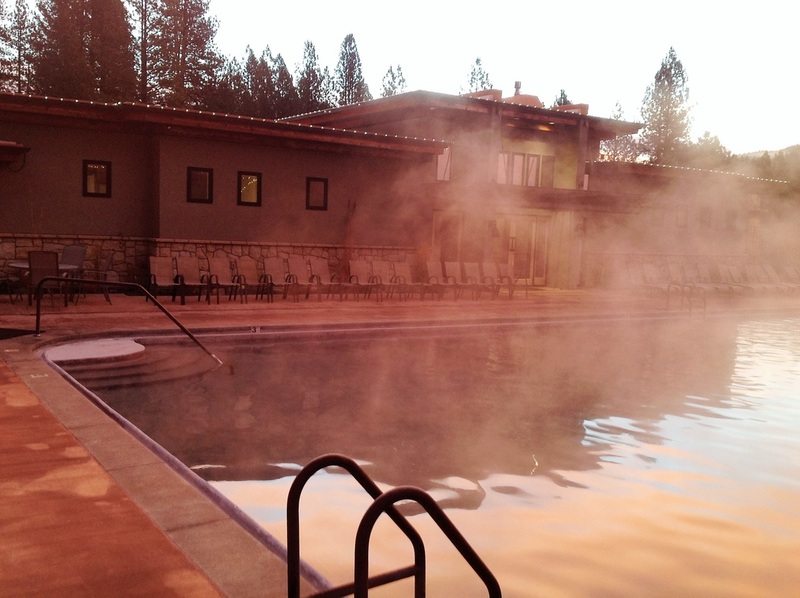 Soak in a Natural Hot Springs! 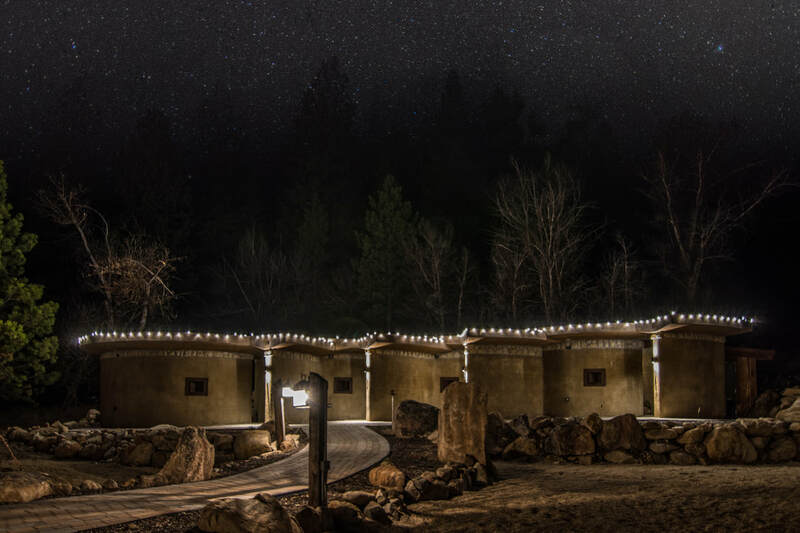 Give the gift of a natural hot springs and a hotel visit all year long! You can purchase gift cards that can be used for everything that we offer here at The Springs to include our main facilities, bodywork sessions, food/beverages, retail items, or private tubs! Don't forget our new hotel, Inn The Pines, located a quarter of a mile from our location! 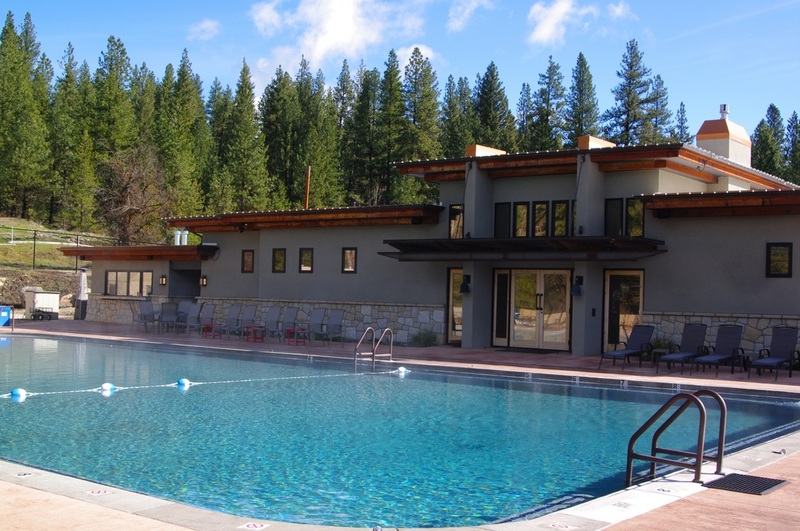 208-392-9500 for The Springs or 208-392-9505 for the Inn! 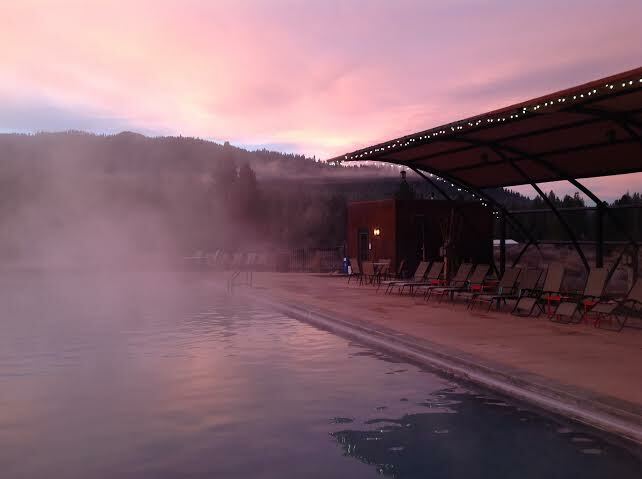 Come soak in our natural hot springs pools under the clear Mountain skies just 45 minutes from downtown Boise. ​ Let your worries melt away. Reservations are for a full day pass. We expect you to arrive within the hour that you reserve for and from then on, you are welcome to stay until we close even if you leave and then decide to return later. We limit the number of guests at The Springs to ensure that you have a relaxing, comfortable experience. Therefore, reservations are HIGHLY recommended so that you are not left high and dry due to lack of space. If you are planning to drive up from Boise, it’s always a good idea to secure a spot before you leave town. We would hate for someone to make the drive in vain. You can create reservations by clicking "Soak Reservations" under the SOAKS tab or by calling our front desk at 208-392-9500. If making your reservations online, ensure that you receive an email confirmation; if not, please call us right away so that we can confirm your soak time. Please provide us with a cancellation notice within 24 hours so that we can open space to other guests. Prior to making the drive up, please check for any cancellations by clicking on the "Soak Reservations" tab at the top of our page or by contacting us at 208-392-9500. ​​​Enjoy some relaxation by staying in one of our rooms! click the OVERNIGHT STAY tab above to book one of our brand new hotel rooms. The Private Tubs are now open!!! Make a Reservation online or call the Front Desk for details. Please arrive ten minutes early to make sure that you get your full hour soak. 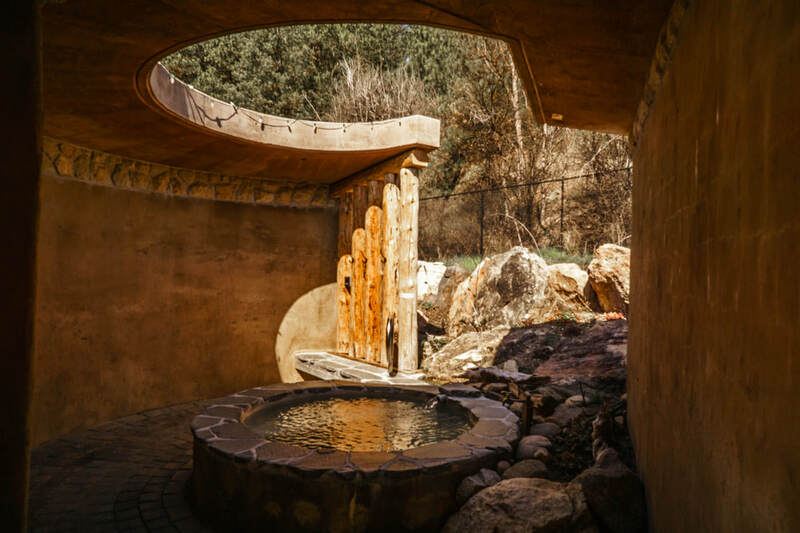 ​If you plan to enjoy the rest of our facilities at The Springs, we encourage you to make a separate reservation by clicking on the "Soaks" tab at the top of our page. Thinking about a nice and relaxing couples massage with a soak afterwards? Keep in mind that we have couples massage available both Wednesday's and Friday's from 4:15-8 pm! If you plan to soak as well, please make a separate reservation to do so. Space is limited so please reserve in advance. THE SPRINGS is going to be interviewing for additional help for this upcoming busy season. This will include Poolside Server, Cafe Cook, Attendant and Front Desk positions. Must be 19 years or older to be considered for the server positions. We are also looking for part time Licensed MassageTherapists. Please fill out our online form and attach your resume for consideration. ​ limit all alcoholic beverages to one drink an hour per guest. As a licensed establishment, we have zero tolerance for bringing in your own outside alcohol. If this occurs, you will be asked to leave. Please understand this as our staff serve you around the pool. Just Bring Yourself and Your Suit! From Boise, go north on Highway 21 towards Idaho City and look for our sign on the left, just past mile marker 37. 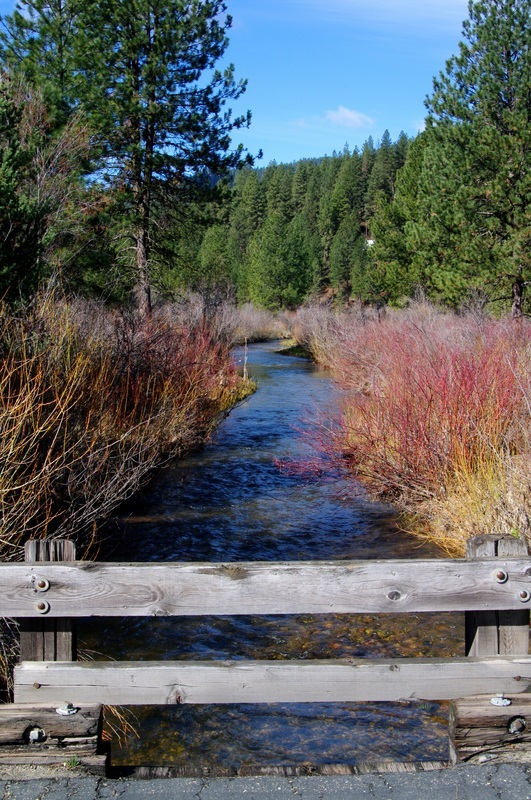 The town of Idaho City is beyond THE SPRINGS another mile. During the warmer months, we advise our guests to leave their pets at home as the temperature in a vehicle can exceed 20 degrees or more than the outside temperature. Pets can easily overheat when left in vehicles.